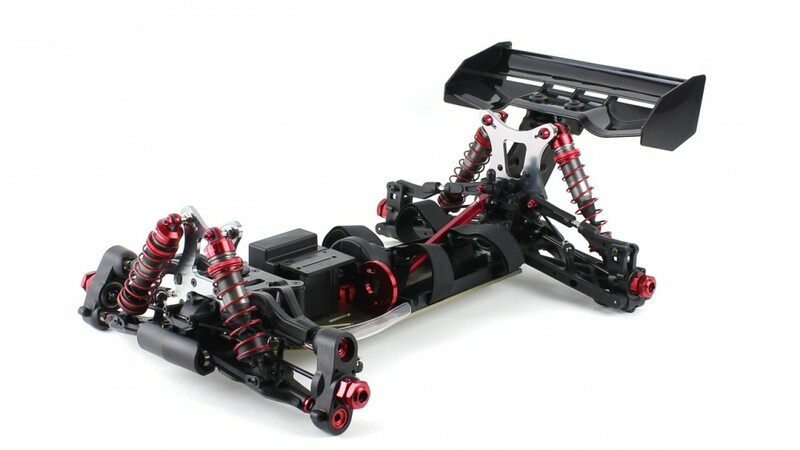 The SWORKz S350 BE1 1/8 scale off-road racing brushless buggy with its super narrow chassis design, comes standard with the SWORKz X-system transmission that provides powerful punch acceleration. The SWORKz S350 BE1 Pro Kit comes equipped with many SWORKz Factory Team Option Parts adding strength and performance to the car.The S350 design team emphasized a lot on the weight distribution of the S350 BE1 contributing to the car performance and easy general car setup. Equipped with Big Bore Shocks and oil filled differentials, the S350 BE1 delivers good traction and balance on any off road tracks. The pivot ball steering system gives the driver good control while driving the S350 BE1. The Standard set up given is a good base start for any drivers. Overall, the S350 BE1 is a perfect combination of design, quality and performance.